Home › All Stories › Bet She’s Smarter Than Your Grand/Daughter! Bet She’s Smarter Than Your Grand/Daughter! This little one is going to go far in life! She already has, and she’s only 3 years old! Ophelia Morgan-Dew, of Britain, has a higher IQ than Albert Einstein. Ophelia allegedly started speaking when she was eight months old, and claims to have memories from before she was one. When Ophelia was given an IQ test, she scored an amazing 171. 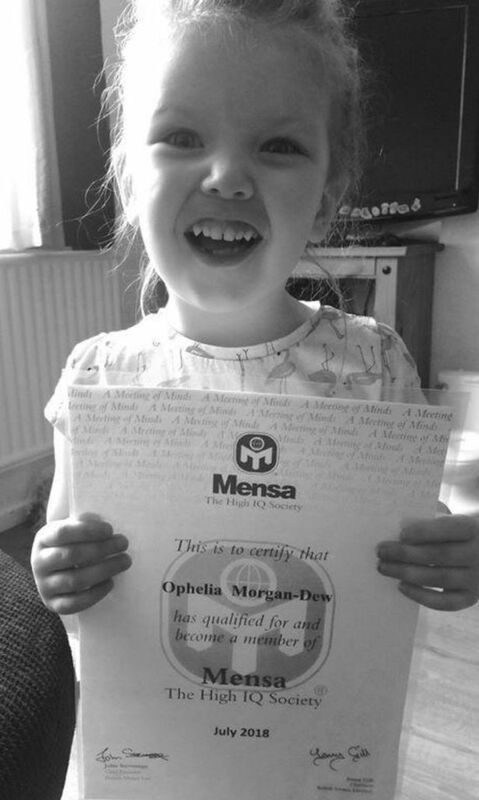 Ophelia is the youngest member of Mensa.